233 total shares. Be the next! Save Jen to your Collection. Register Now! Jen Stark was born in Miami, Florida in 1983 and received her BFA from Maryland Institute College of Art in 2005, majoring in fibers with a minor in animation. Her artwork mimics intricate patterns and colors found in nature while exploring ideas of replication and infinity. 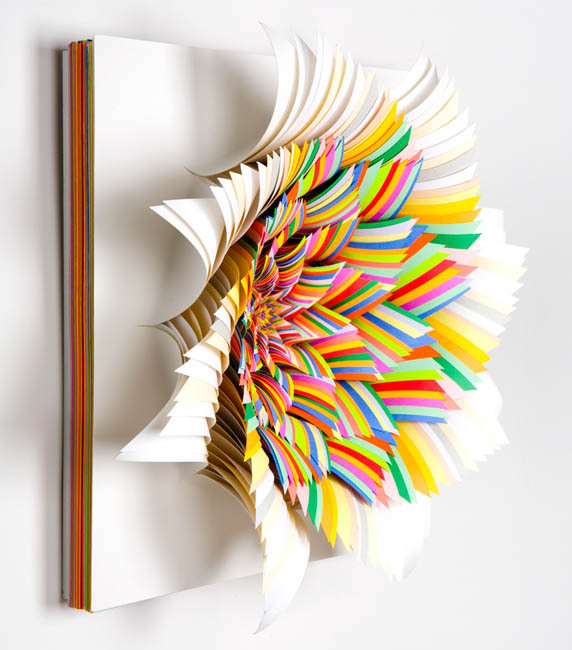 Although Stark is most recognized for her paper sculptures, she has explored a variety of media including wood, metal, paint, plexi and animation. Stark has exhibited globally with major shows in NYC, Los Angeles, Miami, Chicago, Thailand and Canada. Her work is included in the Smithsonian American Art Museum, the West Collection, Crystal Bridges Museum of American Art, the Museum of Art Fort Lauderdale and MOCA Miami among others. Wow! That's amazing. Unbelievable what you can do with the paper. Jen Stark is a very talented lady. I THINK HER WORK IS WONDERFUL! SHE SHOULD BE PRAISED TO THE MAX FOR THE BEAUTY, INTRICACY AND DEPTH OF HER OUTPUT! Agree with person below, deserves more credit. Fabulous work here and that video is beautiful also. Her work should be ranked so much more highly than it is. I love your work it's so cool. 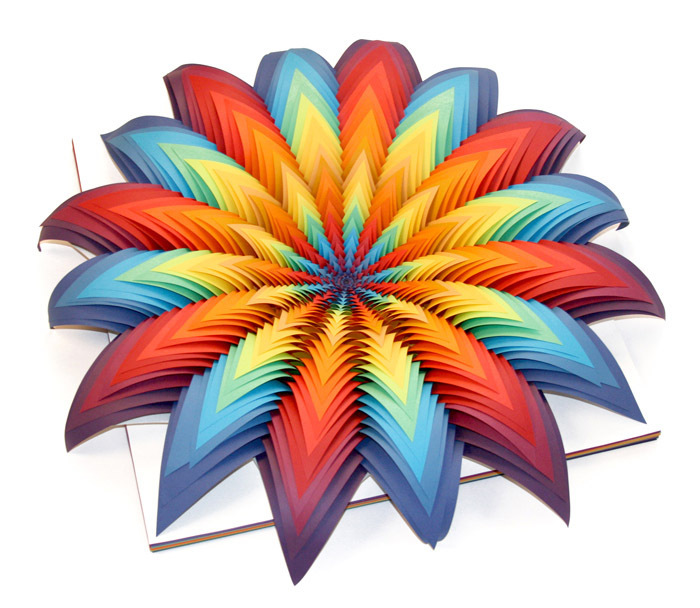 I went to your website, and you have some great paper sculptures. They are so eye catching! the great work...Just loved this.